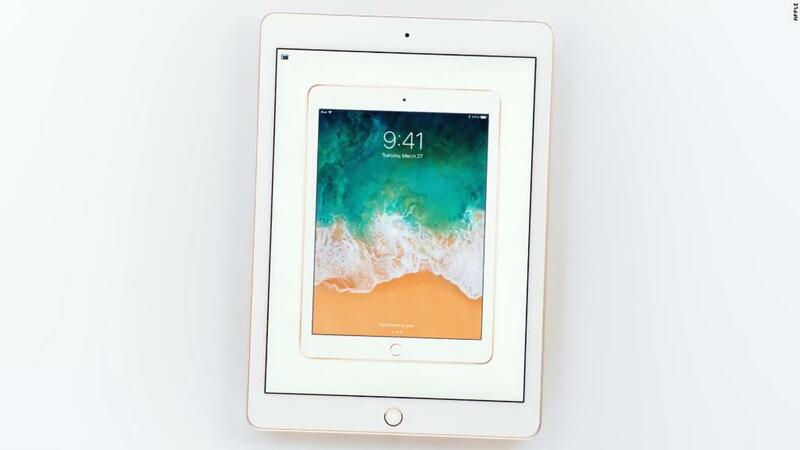 The flashiest news was that the $326 iPad now works with the $99 Apple Pencil stylus. 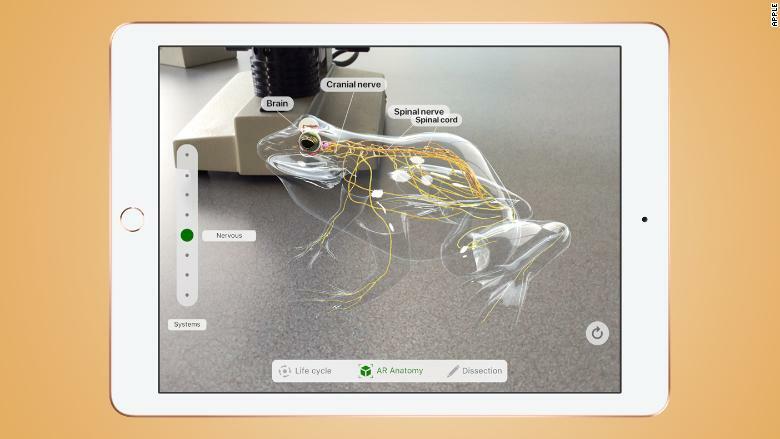 Apple (AAPL) wants schools to buy these products at a slightly discounted rate so students can create art, immerse themselves in history and, yes, dissect virtual frogs. Chromebooks are laptops and tablets running Google (GOOG)'s Chrome operating system, and they are cheap. A low-end model can cost $150. They also entice schools with free access to Google's G Suite for Education and unlimited cloud storage. School IT departments like them as well. Five years ago, Google overtook Apple as the preferred technology company in US schools. Its Chromebooks make up almost 60% of mobile devices shipped to schools, according to Futuresource Consulting. Microsoft (MSFT) has a slight lead over Apple, but both claim around 20% of the market.